Great Townhouse in mint condition in a wonderful setting. Featuring 2 large bedrooms with large closets, baths recently renovated, living room with hardwood floors, kitchen fully applianced cooking stove, dishwasher and refrigerator and microwave. Dining area has sliders to deck and shared yard. 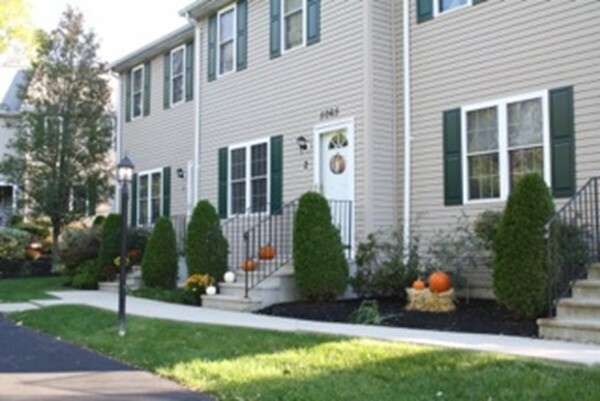 Partial finished heated basement, central air, private trash removal, attic storage, washer and dryer included. Finished basement for extra living space. Easy access to highways. FHA approved!